Admire your space with circular Flora carpet which is woven in Pure Silk on the Cotton hand knotted area rug. 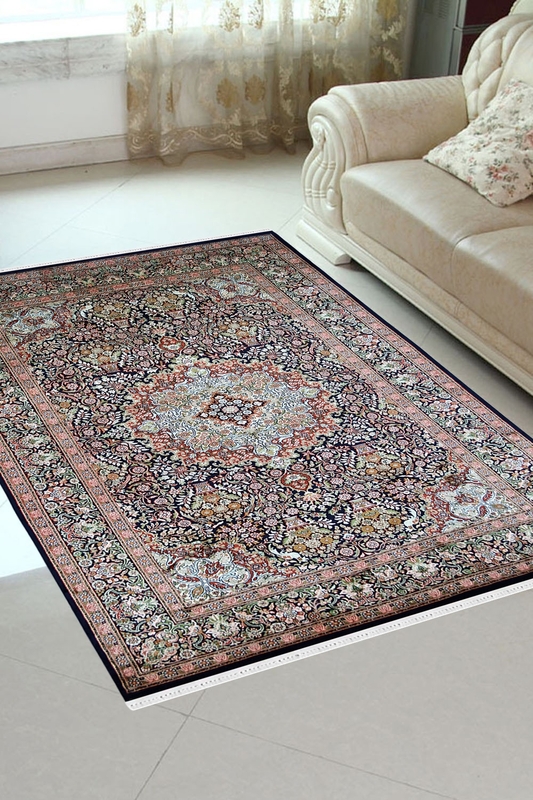 This beautiful carpet is ideal for a living room. Kashan pattern of deconstructed Persian motifs is executed in neutral Blue, rust and pink hues, the exotic designs with floral motifs. Hand-knotted in India by individual artisans, this one-of-a-kind silk and cotton rug from Rugs and Beyond is a cross-pollination of aesthetics, revealing an amalgam of cultural influences on the weaver who created it.